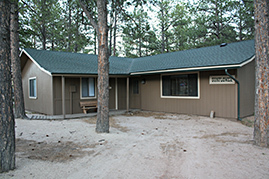 Accommodations at Ponderosa are just right for groups up to 350. 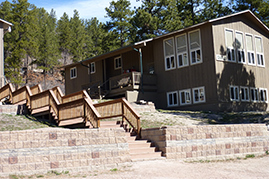 Each building has been designed uniquely with full descriptions listed below. 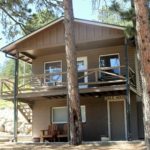 PRIVATE ROOMS/CABINS: Sleep from 2 to 6 people. 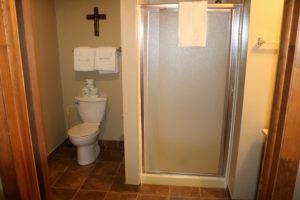 All have a private bathroom with linens & towels provided (shower unless bathtub noted), as well as a coffee pot and hair dryer. Roll-away beds available upon request for $20. 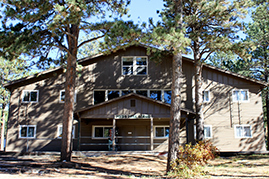 DORM LODGING: Bunk-style bedrooms with shared bathrooms, as well as a meeting space in each. Linens and towels are not included. Sleep from 2 to 6 people. 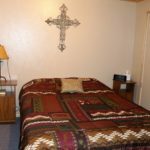 All have a private bathroom with linens & towels provided (shower unless bathtub noted), as well as a coffee pot and hair dryer. Roll-away beds available upon request for $20. 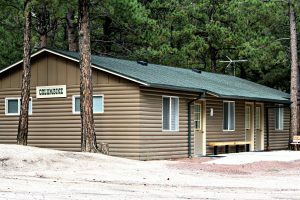 Six cabins and a separate building for a conference room located about a mile from the main camp. 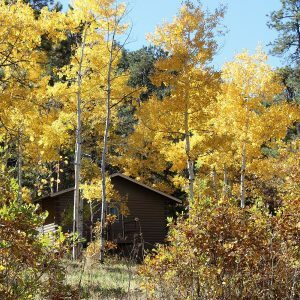 These cabins are ideal for family reunions, small groups and retreats. 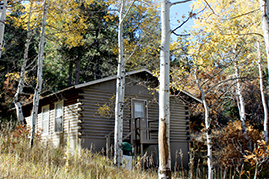 Each cabin, except Aspen 3, has a queen bed and two twin beds. 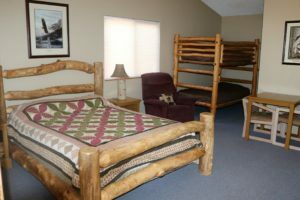 Aspen 3 has a king bed and two twin beds. 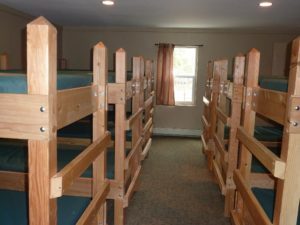 Aspen 5 & 6 have full size futons in addition to the beds. 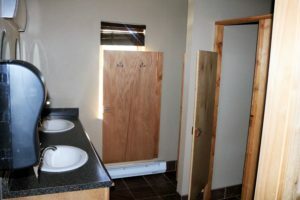 Each cabin has a private bath including one toilet, one shower, and two sinks. They each have a kitchenette with a small refrigerator, microwave, coffeemaker, and sink. 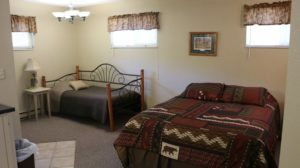 These rooms are available May-September only. 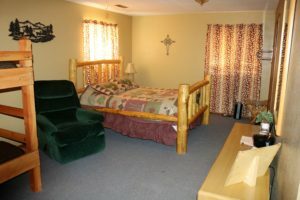 A suite of three rooms. 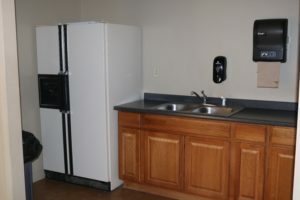 All 3 Columbine rooms have a small refrigerator, small microwave and coffeemaker. 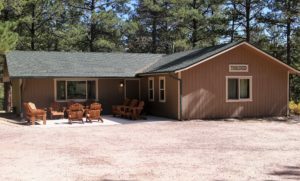 This building is ideal for small staff retreats, family reunions, or it can be used as independent rooms. Columbine 1 & 3 have 1 queen & 1 twin bed. Columbine 2 has a queen bed. Each bathroom includes a bathtub. 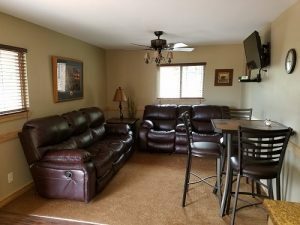 This private room has a living area with full futon and single futon, dining table that seats 4, a queen bedroom, 3/4 bath, full-size kitchen equipped with refrigerator, stove, microwave, coffeemaker, pots, pans, and dishes for 4 people. 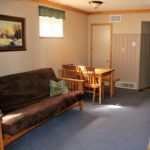 Three private rooms sharing a conference/lounge area with wood burning stove, small refrigerator, and microwave. 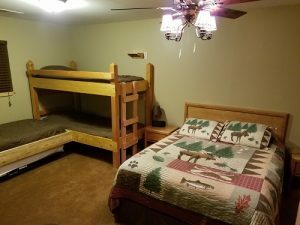 Holly 1 & 3 have a queen bed & a bunk bed. Holly 2 has a queen bed and 2 twin beds. 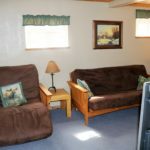 Holly 3 is handicap accessible and is equipped with a bathroom with shower and bath stool, and also has its own small refrigerator and microwave. 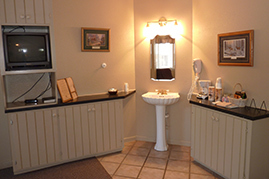 Each room has a dresser, small table and chairs, coffeemaker, and individual bathroom. 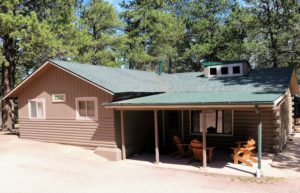 This duplex-style private cabin has newly added AC, ideal for guest speakers, pastors, or families. 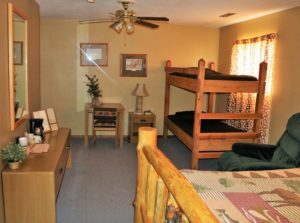 Each unit bedroom has a queen bed, bunk-bed, twin bed and trundle (sleeping 6 total), living area with TV/DVD and dining table for 4. 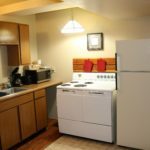 Fully-equipped kitchen includes refrigerator, small oven and stove, microwave, coffeemaker, pots, pans, and dishes for 6 people. Four private rooms sharing a conference/lounge area with small refrigerator, and microwave. 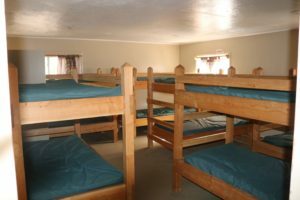 Sunflowers 1 & 2 have a queen bed and a bunk bed, and Sunflowers 3 & 4 have a queen and 2 twin beds. They also have a table, chairs, dresser and coffeemaker. 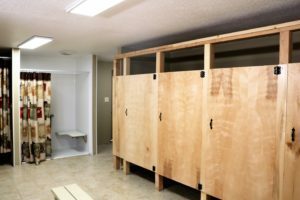 Each individual room has an individual bathroom. 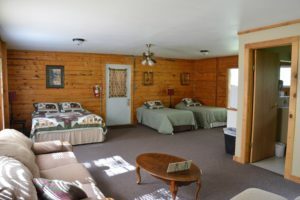 Bunk-style bedrooms with shared bathrooms, as well as a meeting space in each. Linens and towels are not included. 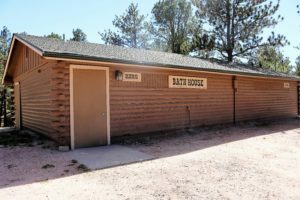 Our bath house is located at the center of camp with "HIS" and "HERS" sides: 4 toilets, 4 showers and 1 handicapped accessible shower in each side. These dorms are mirror images of each other. 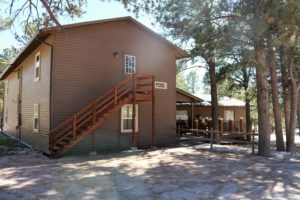 There are 4 levels accommodating 46 people in each lodge. 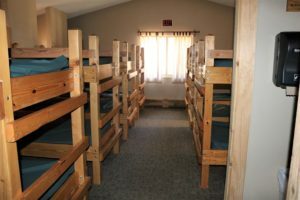 The two carpeted sleeping levels (Levels 2 & 4) have bedrooms with two bunk beds in each room sleeping 4 (16 total per floor). Levels 2 & 4 have a shared bathroom. 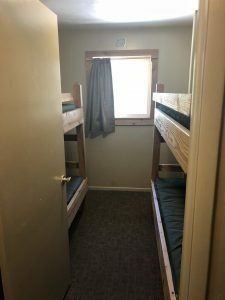 Level 1/Garden Level has 7 bunk beds (no bathroom). Level 3 provides conference space equipped with a gas fireplace, whiteboard, flat screen and mounted projector. 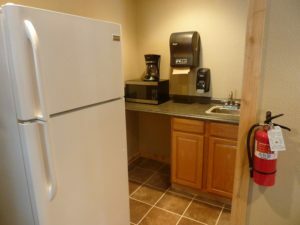 There is also a snack area with a full-size refrigerator, microwave, and counter sink. 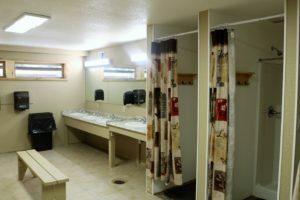 The two bathrooms each include two showers, three toilets, and three sinks. Eight carpeted bedrooms that can accommodate 96 people with 12 people per room. 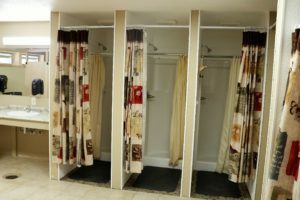 Bedrooms share an adjoining bathroom facility with two showers and three toilets. 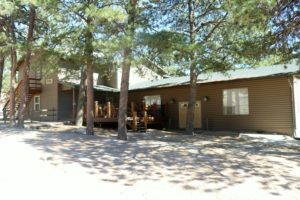 The main level conference room has a large fireplace and includes a snack area with a full-size refrigerator, microwave, and counter sink. 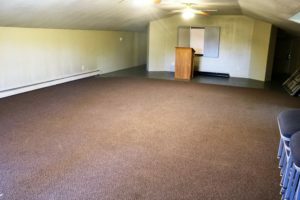 The third floor has a carpeted conference area which is in addition to the conference area on the main floor. Four carpeted bedrooms that can accommodate 82 people. There are two bedrooms upstairs that sleep 22 and 24 people, respectively. 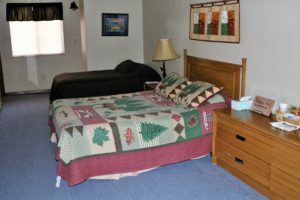 Each bedroom downstairs sleeps 18 each. 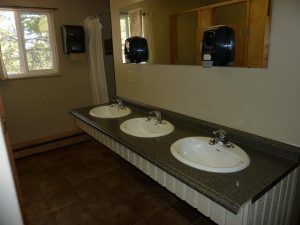 The bathroom facilities in each bedroom include two showers, two toilets, and three sinks each. 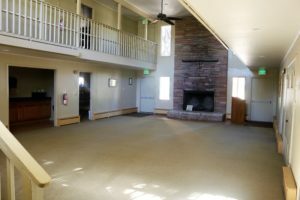 The large centrally located conference room has a large rock fireplace, projector screen with a ceiling mounted projector, and a piano. 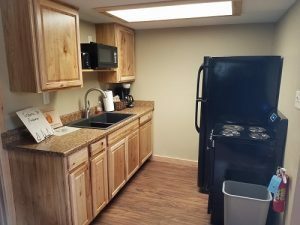 This lodge also includes a snack area with a full-size refrigerator, microwave, and counter sink. 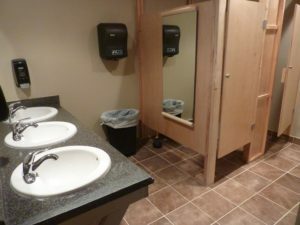 A handicap bathroom is located on the ground floor also. 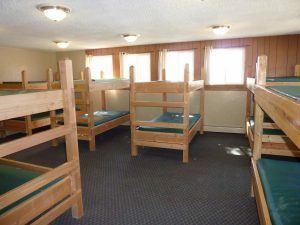 Two carpeted bedrooms that can accommodate 28 people with 7 bunks, 14 people per room. 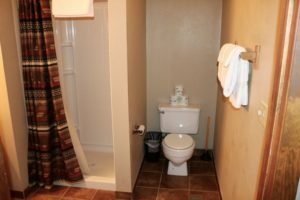 Each bedroom includes a bathroom with one shower, two toilets, and two sinks. 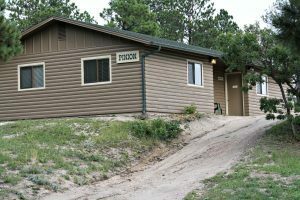 This lodge also includes a centrally located conference room with a refrigerator and microwave, whiteboard, and TV/DVD. Full RV Hookup – Water, Sewer, and Electricity (30 amp). If you're inclined to use your own accommodations, we also have a full hookup R.V. 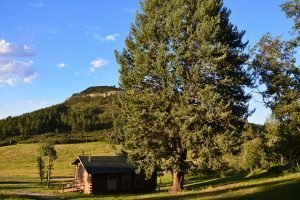 Park with water, sewer, and electricity, plus plenty of campsites for tents.